Following the opening of its third factory in August this year, the TWR Group has recently invested in a pioneering Modula lift and storage system; and is the first UK based glass and glazing company to do so. 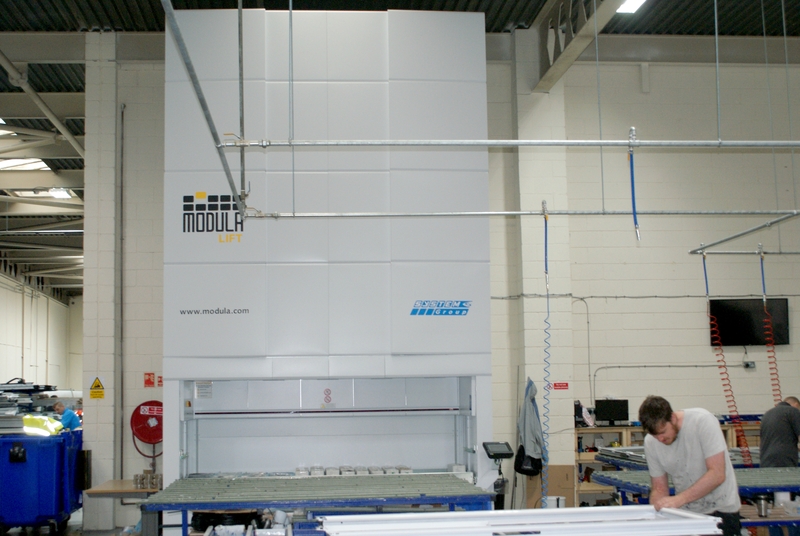 The Modula system is an automated storage and picking solution that has been built bespoke to TWR’s requirements. Typically, the system is found in sectors as diverse as healthcare, oil and gas, and automotive. The Modula system installed at TWR is seven metres high and stores hundreds of products which can be accessed easily and efficiently by authorised personnel. 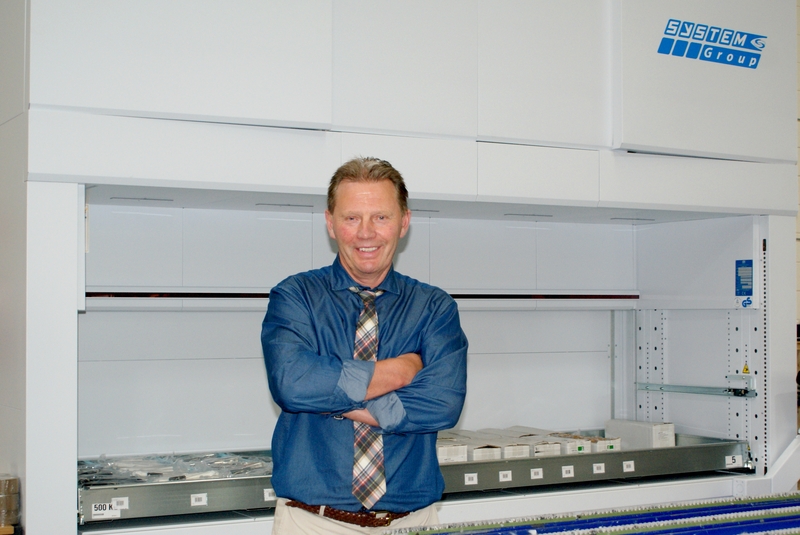 John Farren is General Manager of the UK branch of Modula Storage Solutions Ltd and discusses the advantages TWR will see from installing the automated vertical storage system. He comments: “As well as increasing a company’s efficiency, our products also mean a reduced risk of injuries for employees who will not have to ascend ladders or stairs to retrieve potentially heavy products from shelves. Our systems also improve stock accuracy which help business owners keep track of their supplies. TWR’s investment in the pioneering system is another bold move by the Peterlee based business and could pave the way for more companies to follow suit. Terry Richardson, Managing Director and founder of TWR, comments: “We’re already seeing the benefits of having invested in a Modula lift system and we anticipate that it will prove to be a huge asset to our business in the coming years. The TWR Group is one of the UK’s leading aluminium and PVC-u trade fabricators and suppliers, boasting a huge selection of products including bi-folding doors, WarmCore products, and aluminium lantern roof windows. For more information please call us on 0191 565 2200 or send us an online message.